Nicola Guazzaloca's music mixes a variety of influences filtered by sensitiveness and personal choices, often working out of orthodox language boundaries to express the most sincere and direct intention. His musical journey started in the late eighties in the underground Bologna's scene, to pass then through many different musical experiences and a various range of approaches. In the '90 he moved to the jazz and experimental scene, focusing on a personal way to compose, organize and improvise music (studies with Muhall R. Abrahms, Roscoe Mitchell, Anthony Braxton, Barre Phillips, Tristan Honsinger, William Parker). In 2007 he had been recognised by the national press as being among the most talented italian composers in relation with the Comanda Barabba 5et project, an avant-jazz ensemble active since the late nineties for over a decade. He had been member of the Barre Phillip's "Fete Foreign" and of the italian improvisers collectives driven by cellist Tristan Honsinger. He has composed and performed for cinema, theater, dancers and multimedia (prizes Prima Aziz '03, Favolando '04, Interculture Map '05, Fica '13). Past from 2007 he's involved with the Popular School of Music Ivan Illich in Bologna with teaching and coordinating laboratories of ensemble music, composition and improvisation. 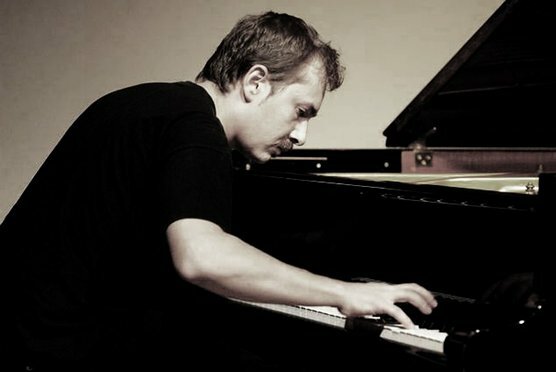 He have performed in festival and venues in Italy, Germany, Holland, England, Portugal, Russia, France, Hungary, Austria, Serbia and Belgium with several musicians as Tim Trevor-Briscoe, John Russell, Barre Phillips, Satoko Fukuda, Francesco Guerri, Szilard Mezei, Gianni Mimmo, Hannah Marshall, Gabriele Di Giulio, Tristan Honsinger, Edoardo Marraffa, Silvia Bolognesi, Sabir Mateen, Nils Gerold, Roger Turner, Christian Ferlaino, Piero Bittolo Bon, Luca Bernard, Gaetano Alfonsi, Paul Flaherty, MarcelloMagliocchi, Stefano Giust, Carlo Mascolo, Rocco Casino Papia, Lol Coxhill, Eugenio Sanna, Edoardo Ricci, Matthias Boss, Andrea Grillini, Davide Lorenzon, Maresuke Okamoto, Alex Ward, Joao Pedro Viegas, Taylor Ho Bynum, Carlos Zingaro, Harri Sjoestroem, Phil Minton, Luo Chao-yun, Thollem McDonas (piano duo), Maryclare Brzytwa, John Hughes, Peter Ajtai, Szilveszter Miklos among others.